Developers and partners are using these APIs to enable amazing experiences that integrate with Power BI. Here’s an example of the recently released Dynamics AX release with Power BI integration done using these very APIs. Report integration APIs: We are releasing two new APIs to enable you to push integrations even further. You can now enumerate reports using our “Get reports” API. 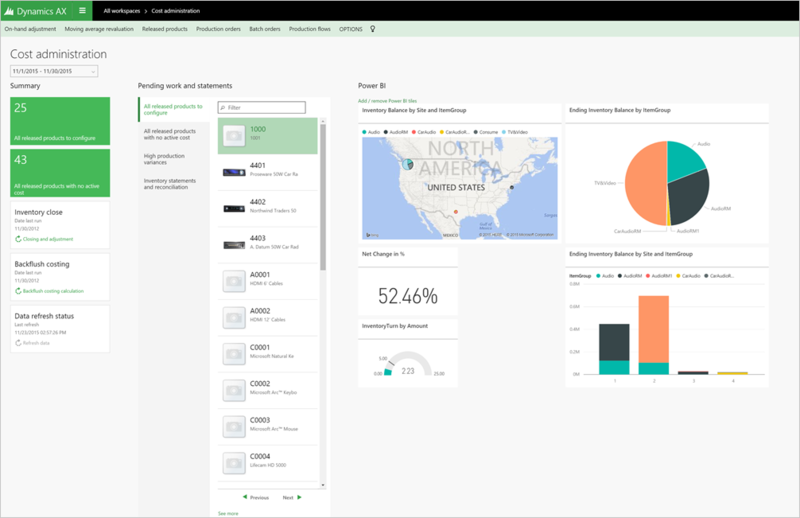 You will also be able to integrate reports directly into your application experience similar to how you can integrate tiles into your app experience. You can find the details here. Simple App Registration experience: If you are used to the app registration experience you need to go through in order to get started using the Power BI APIs, you know that it is a bit of an involved process to get an app registered. So in order to ensure a quick and painless app registration experience, we are introducing a new experience that will make this process a breeze. You can find our sample on GitHub that shows you how to use the new APIs. As a part of using the sample, you will also need to register an app. We urge you to try out the app registration experience as a part of playing with the sample. Here’s a short video that shows Lukasz walking through these new capabilities, using the sample on GitHub. You can find a more in-depth write-up of the improvements on the Power BI Developer Blog. We hope you find these APIs useful, and we can’t wait to see the types of integrations you are going to be building on top of Power BI!